Underwater vacuum leak testing is a whole-package integrity test. It is typically performed on rigid packaging systems, such as bottles or vials. 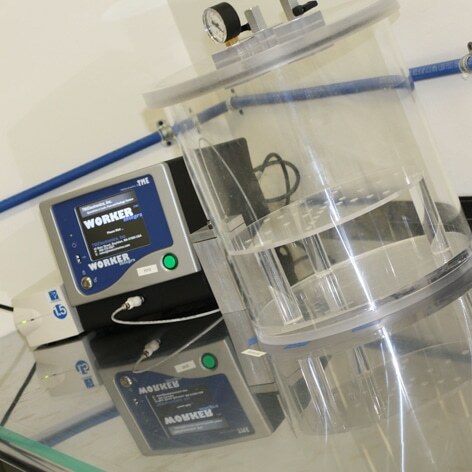 Underwater vacuum leak testing is most often part of a closure validation, or transit or shelf life simulations. The sensitivity of this test is 250 microns. It is performed by submerging the package in a water-filled vacuum chamber and observing for a steady stream of bubbles, indicating a breach of the sterile barrier.